The best way to start is with tracing shapes. We children are comfortable holding a pencil and controlling their movements then you can move on toe letters and name writing. 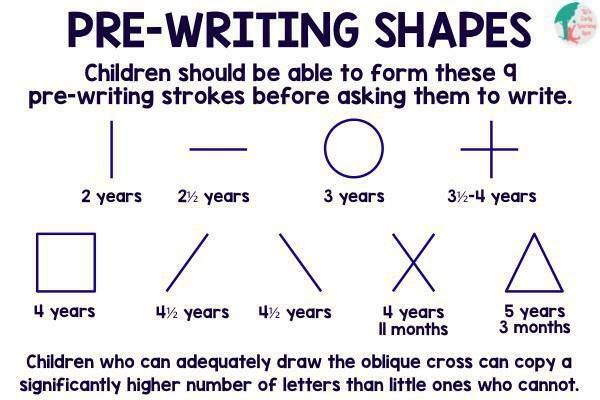 This picture shows you the pre-writing shapes.